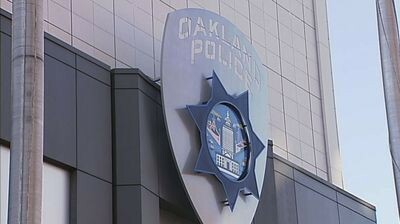 Last fall, Oakland voters approved creating a police commission with sweeping powers to investigate police misconduct, impose discipline, steer department policies, and hire and fire the chief. But who gets to serve on the police commission? A selection panel of nine community members will choose four of the seven police commissioners, and one of the two alternates. (The mayor gets to choose the other three commissioners and alternate.) Each councilmember was allowed to appoint one member to the selection panel, and the mayor also got one appointment. Tal Klement was picked by Councilmember Dan Kalb. Klement is an attorney with the San Francisco Public Defender's Office who lives in Kalb's district. James Chanin was picked by Councilmember Abel Guillen. Chanin is a civil rights attorney who has been involved in the Oakland Police Department's court-mandated reform program since the early 2000s. Chanin is a resident of Oakland. Sarah Chavez-Yoell was picked by Councilmember Lynette Gibson McElhaney. Chavez-Yoell is the executive director of the Oakland Builder's Alliance. She was previously the executive director of the East Oakland Boxing Association. She is married to Michael Yoell, a former lieutenant in the Oakland Police Department. Shikira Porter was chosen by Councilmember Annie Campbell Washington. Porter is an Oakland resident and member of Neighbors for Racial Justice, a group that has worked to stop racial profiling through social networks like Nextdoor.com. Mary Vail is Councilmember Noel Gallo's pick. Vale is a resident of the Glenview neighborhood and a longtime community activist. She is a member of the Coalition for Police Accountability that helped draft and pass the police commission ballot measure. She is also a retired attorney who worked for the National Labor Relations Board. Candice Jessie is Councilmember Desley Brooks' pick. Jessie, according to city records, is a former grant writer for the Oakland Police Department. Jean Blackshear is Councilmember Larry Reid's pick. Blackshear is an East Oakland resident and activist. John Jones was picked by Councilmember Rebecca Kaplan. Jones, who grew up in Oakland and went to Castlemont High School, is a life coach at Communities United for Restorative Youth Justice, a nonprofit that works with young people to reform the criminal justice system. Arnold Perkins was Mayor Libby Schaaf's pick. Perkins was formerly the director of the Alameda County Public Health Department. He was also a public safety advisor to Mayor Ron Dellums. "I think the selection panel is just as important as the actual commission," said John Jones. "It’s important also that the people picking the commissioners are from the community." "I think it’s critical that the commission be perceived as fair to both the complainants and the officers, and that the commissioners be comfortable making the right decisions regardless of whether it’s in the officer's favor or the complainant's favor," said James Chanin. Rashidah Grinage of the Coalition for Police Accountability, the group that was instrumental in drafting and campaigning for the police commission ballot measure said "I think the councilmembers and the mayor took very seriously their responsibility and we wound up with a very diverse group of folks who have demonstrated a commitment to community safety." The selection panel will convene soon to begin the work of picking four members of the police commission.